“14 After John was put into prison, Jesus went into Galilee, proclaiming the good news of God. 15 ’The time has come.’ he said, ‘The kingdom of God is near. Repent and believe the good news!” (Mark 1:14-15, NKJV). As stated before, there are many kinds of friendships and relationships. As human-beings we are capable of so much love, kindness, gentleness, mercy, and forgiveness but we rarely show it, because of our sinning nature we are repeat offenders to Gods perfect love. We would rather put into prison such prophets as John the Baptist who God made as a lonely voice in the wilderness calling out for forgiveness, justice, and repentance, a man sent by God, foretold over 700 years before his birth by another prophet we know as Isaiah. “ 3 A voice of one calling: “In the wilderness prepare the way for the LORD; make straight in the desert a highway for our God. 4 Every valley shall be raised up, every mountain and hill made low; the rough ground shall become level, the rugged places a plain. 5 And the glory of the LORD will be revealed, and all people will see it together. For the mouth of the LORD has spoken.” (Isaiah 40:3-5, NIV). We would rather ignore our sins allowing Satan to work his evil within us, leading us into perpetual darkness than to claim the light of God. Where we go so wrong in our lives, in our deeds, in our relationships is our unwillingness to believe the good news. Foundational friendships are relationships built upon honesty, sincerity, and devoid of doubt. We must always be ready for them when they appear, and when they do we must act upon them without delay. Admittedly, in some instances it takes an act of God to make us comply and to obey without question, but for those who are ready it only takes the gentle voice of our savior. For when Jesus came upon Simon and Andrew they recognized his honesty and they saw his sincerity, which erased all their doubt for they hesitated not; but rather acted upon there belief with blind ferver. “19 When he had gone a little father, he saw James son of Zebedee and his brother John in a boat, preparing their nets. 20 Without delay he called them, and they left their father Zebedee in the boat with hired men and followed him.” (Mark 1:19-20). Our needs are met when like little children we come running to the Lord, leaving everything behind, dropping our yokes given to us by life and simply following him. The call is so simple, but yet so hard for many of us. The rewards are so profound if only we submit and believe. Through this act of contrition we drop the world and our sins of the world at the door step of our savior. We allow God to mold us into a more perfect version of ourselves, thus teaching each of us how to connect with others in a way that will inspire them to come to God much like the prophets, the angels in heaven, and much like Jesus who died for us. We open our hearts and mind; we become the cornerstone that which many foundational relationships can stand the test of time. Like watchmen we become ever vigilant, unyielding, and uncompromising as the sands that are carried by the wind howl about us, yet we stand never to be chipped or blown away, but rather rooted in the foundations of the Lord. The characteristic of being like the prophets, speaking the truth given to us by God, sharing the good news is the best kept secret of being a foundational friend, because in stark reality we are preparing ourselves and others to be part of a magnificent eternal family. “13 Once again Jesus went out beside the lake. A large crowd came to him, and he began to teach them. 14 As he walked along, he saw Levi son of Alphaeus sitting at the tax collector’s booth. 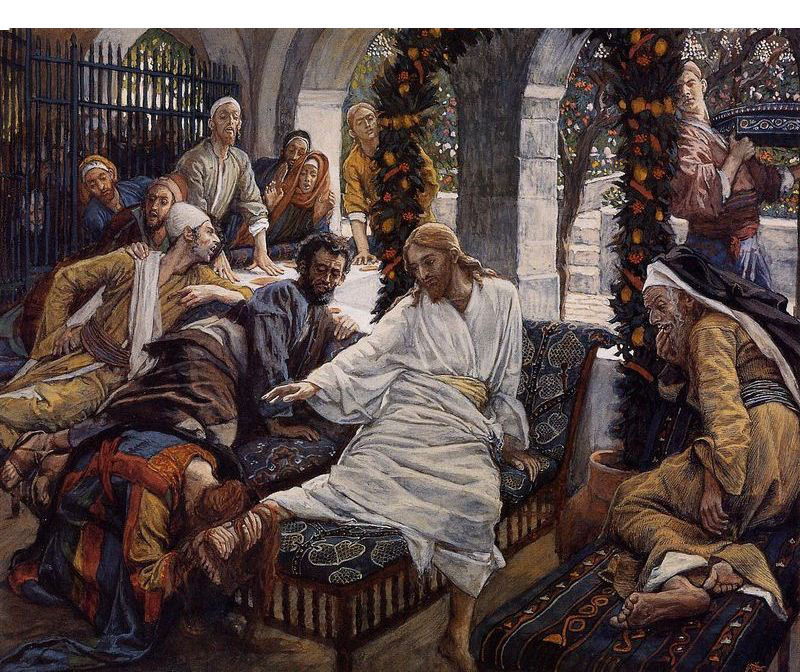 ‘Follow me,’ Jesus told him, and Levi got up and followed him.” (Mark 2:13-14, NJKV). So simple, so gentle, so powerful, and so perfect are the words, “Follow Me!” For the disciples did not come to Christ because they heard his message first, analyzed it, and then synthesized it before making the life changing decision to follow him. Rather they heard his voice, accepted their calling from God and did not look back. To be called by God is the greatest of all earthly pursuits that carries with it huge responsibilities and ramifications. To accept Gods holy appointment upon your life to become a foundational friend, teacher, and apostle one must recognize God, believe with absolute blind faith, and practice his mercy in all you do and with everyone you meet. “13 Jesus went up on a mountainside and called to him those he wanted, and they came to him. He appointed twelve designating them apostles that they might be with him and that he might send them out to preach and to have authority to drive out demons. These are the twelve he appointed: Simon (to whom he gave the name Peter), 17 James son of Zebedee and his brother John (to them he gave the name Boanerges, which mean Sons of Thunder); 18 Andrew, Philip, Bartholomew, Matthew, Thomas, James son of Alphaeus, Thaddaeus, Simon the Zealot, 19 and Judas Iscariot, who betrayed him.” (Mark 3:13-19, NKJV). “28 Thomas said to him, ‘My Lord and my God!” 29 Then Jesus told him, “Because you have seen me, you have believed; blessed are those who have not seen and yet have believed.” (John 21: 28-29, NKJV). “41 Returning the third time, he said to them, ‘Are you still sleeping and resting? Enough! The hour has come. Look, the Son of Man is betrayed into the hands of sinners. 42 Rise! Let us go! Here comes my betrayer!” 43 Just as he was speaking, Judas, one of the Twelve, appeared. With him was a crowd armed with swords and clubs, sent from the chief priests, the teachers of the law, and the elders. 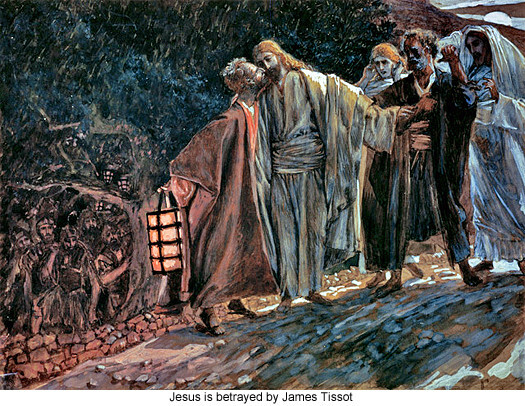 44 Now the betrayer had arranged a signal with them: “The one I kiss is the man; arrest him and lead him away under guard.” 45 Going at once to Jesus, Judas said, “Rabbi!” and kissed him. 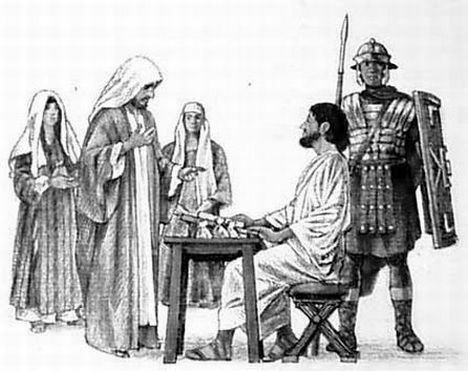 46 The men seized Jesus and arrested him.” (Mark 14:41-46, NKJV). Still others denied knowing him. But Jesus never left them without peace, love, and the promise of eternal life. His friendship is foundational in every way, in all measures, and is absolute. It is Our Lord and Saviors example that we must cling too as we are molded and grow in faith, as we become foundational people, befriending everyone, helping those who respond. Like a fisher of men pulling many from unlikely places we become foundational and teach others to become the same, in the end becoming more like God. In addition please visit the newly constructed donations page in order to directly support this blog please DONATE NOW! “14 The LORD upholdeth all that fall, and raiseth up all those that be bowed down.” ~ Psalms 145:14, KJV. There are many types of friendships; however the ones that are the most foundational and rewarding are those which an immense amount of work has gone into them. Like anything else in life where your heart is so there will you find all your efforts. Foundational relationships are those which are built upon unconditional love, trust, understanding, a willingness to forgive, commitment, the ability to allow your friends to make mistakes, and above all the giving of time and allowing others in under the radar. In so many ways this is the same relationship that God wants to have with each one of us. It goes without saying that true friends can prop each other up, can support each other when times are hard, and can even say that they love each other without there being any misunderstanding, controversy, or adverse effect on the relationship, rather those words build and strengthen the relationship. Much like the relationship God asks for and so freely gives, foundational friendships lift each other up and lends a steady hand when required with no questions asked. “18 The LORD is nigh unto all them that call upon him, to all that call upon him in truth.” ~ Psalms 145:18, KJV? “24 A man that hath friends must shew himself friendly: and there is a friend that sticketh closer than a brother.” ~ Probverbs 18:24, KJV. Foundational relationships are built upon stone or granite which supports the load with unyielding firmness, never to be moved or shaken. If you counted all the friends in your life which ones would pass this test? Indeed, few if any people in reality fall into this category by default. In this examination we also must understand the characteristic which makes people fall directly in line as a foundational friend, after God has so molded them to take on this personage. But to do this we must also understand that the first friend you have that automatically falls into this category is Jesus Christ. The first characteristics of foundational friendships in these kinds of relationships are found in the qualities of Christ, the chief among them is obedience and loyalty. This is in direct reference to being friends with Jesus, because we should not be completely obedient to the flesh, rather to the spirit, but we are all called to be loyal to both. For instance, if God tells you to sacrifice your first born then obey as did Abraham, but know that God would never ask you to follow through, as he sent an angle to stop Abraham, much like he would send an army of angels to lift your burden. “10 And Abraham stretched forth his hand, and took the knife to slay his son. 11 And the angel of the LORD called unto him out of heaven, and said, Abraham, Abraham: and he said, Here am I. 12 And he said, Lay not thine hand upon the lad, neither do thou anything unto him: for now I know that thou fearest God, seeing thou hast not withheld thy son, thine only son from me.” ~ Genesis 22:10-12, KJV. Therefore, in the figurative speech if a friend tells you to sacrifice your first born, know then this friend needs your help. This falls directly back to unconditional love, loyalty, support, acceptance and the propping up of your friend, but in a way that you are not entangled or seen to be condoning or otherwise supporting their position. In this you are much like an angel of the Lord, and thus showing your obedience to God the Father only. Always know that our God would never ask you to truly sacrifice your only child, and neither should your friends, (figuratively speaking: the flesh), place you in such hard circumstances. Being obedient and loyal to Jesus is the first step in making yourself available to becoming a foundational friend to others. Remember the only person you can change is yourself. “12 This is my commandment, That ye love one another, as I have loved you. 13 Greater love hath no man than this, that a man lay down his life for his friends. 14 Ye are my friends, if ye do whatsoever I command you.” ~ John 15:12-14, KJV. Found in John is the only condition Jesus places upon His disciples and the rest of humanity. Jesus’s friendship is contingent upon doing what He has commanded, in that love one another, and protect one another to the bitter end as Jesus has also done for you. Friends do not attack one another, they do not bare false witness against each other, and they do not seek to harm or embarrass each other, nor harass each other for selfish gain for Jesus did none of these things. Making Jesus your rock which you build your friendships and relationships upon makes you complicit to God and fulfills this command or condition found in John. Moreover, you become his disciple, and as such worthy of His truth which will set you free. “31 Then said Jesus to those Jews which believed on him, ‘If ye continue in my word, then are ye my disciples indeed; 32 And ye shall know the truth, and the truth shall make you free.‘” ~ John 8:31-32. Jesus also added, “51 Verily, verily, I say unto you, If a man keep my saying, he shall never see death.” ~ John 8:51, KJV. The second characteristic is found in accepting people as they are, showing compassion in tough situations, and being equitable to all whom you meet. There are so many teachings found in the Bible which supports this, but again taking from the perfect examples of Christ, center your focus totally on this one most perfect instance which so many missed. “4 They say unto him, ‘Master, this woman was taken in adultery, in the very act. 5 Now Moses in the law commanded us, that such should be stoned: but what sayest thou?” 6 This they said, tempting him that they might have to accuse him. But Jesus stooped down, and with his finger wrote on the ground, as though he heard them not. 7 So when they continued asking him, he lifted up himself, and said unto them, ‘He that is without sin among you, let him first cast a stone at her.‘” ~ John 8:4-7, KJV. “7 So when they continued asking him, he lifted up himself, and said unto them, ‘He that is without sin among you, let him first cast a stone at her.’ 8 And again he stooped down, and wrote on the ground. 9 And they which heard it, being convicted by their own conscience, went out one by one, beginning at the eldest, even unto the last: and Jesus was left alone, and the woman standing in the midst.” ~ John 8:7-9, KJV. The bedrock which Jesus laid was so deep, so poignant, and perfect that no one even the Pharisees could argue with it. Through compassion we find we are lifted up to a higher standard, one which demands that love be part of every act we do, compassion be the first thought in our mind and soul. When we open ourselves up to this belief then we release our need to judge or be and act in a judgmental way. Instead we lay down the reigns of control and give it all to God. No one need die for their sins, rather Jesus showed us that repentance is the new law. “10 When Jesus had lifted up himself, and saw none but the woman, he said unto her, ‘Woman, where are those thine accusers? Hath no man condemned thee?’ 11 She said, No man, Lord. And Jesus said unto her, ‘Neither do I condemn thee: go, and sin no more.’” ~ John 8:10-11, KJV. The third characteristic Jesus exhibited is found in his acceptance of sinners, openly if not defiantly associating himself with the lowest of people. The ability to walk into a mud hut and see it as the occupants see it, to eat their food, to drink their water and wine, to open ones heart and share with them without a since of superiority or judgmental attitude is at the most basic levels an act of love. This one deed penetrated Jesus’s heart, was in ever act he committed, and reverberated around the world touching millions of people long after his ascension. “5 And when Jesus came to the place, he looked up, and saw him, and said unto him, ‘Zacchaeus, make haste, and come down; for today I must abide at thy house.’ 6 And he made haste, and came down, and received him joyfully. 7 And when they saw it, they all murmured, saying, That he was gone to be guest with a man that is a sinner.” ~ Luke 19:5-7. Jesus made every moment painfully public as he took his ministry of love to the people, always seeking the best opportunities which were sure to upset the establishment. He seized the most effective ways to enforce His new law in the most peaceably manner possible. “36 And one of the Pharisees desired him that he would eat with him. And he went into the Pharisee’s house, and sat down to meat. 37 And, behold, a woman in the city, which was a sinner, when she knew that Jesus sat at meat in the Pharisee’s house, brought an alabaster box of ointment, 38 And stood at his feet behind him weeping, and began to wash his feet with tears, and did wipe them with the hairs of her head, and kissed his feet, and anointed them with the ointment. 39 Now when the Pharisee which had bidden him saw it, he spake within himself, saying, (This man, if he were a prophet, would have known who and what manner of woman this is that toucheth him: for she is a sinner. )” ~ Luke 19:36-39, KJV. In every regard Jesus accepted the worship of sinners no matter their sin. He always made a point to forgive them, no matter the day of the week, or physical place he found himself, he always forgave.